The price of the 2019 Subaru Crosstrek remains basically unchanged for the Canadian market, but maybe Subaru should raise it. Subaru Canada released pricing for the new 2019 Crosstrek and it remains unchanged on the base model and only gets a $100 price bump for all other trims. According to a report by Automotive News, there is a long wait for the newly-redesigned Crosstrek crossover north of the border. Maybe Subaru needs to raise the price since demand is so high. The most popular vehicle in the Subaru lineup continues to be the new-generation Crosstrek in Canada. The compact crosser posted its best June ever with 1,410 units sold, an increase of 63.6 per cent over the same month in 2017. Even with the Crosstrek being the hottest vehicle in the Subaru stable, Subaru Canada keeps the price unchanged for the base model ($23,695) and only a $100 price increase for all other 2019 trims. The 2019 Crosstrek gets a few infotainment software updates and a new Dark Blue Pearl exterior color, which is available on the Touring, Sport and Limited trims. Subaru designed the new-generation Crosstrek for younger buyers with active lifestyles and it’s paying off big for the Japanese automaker. 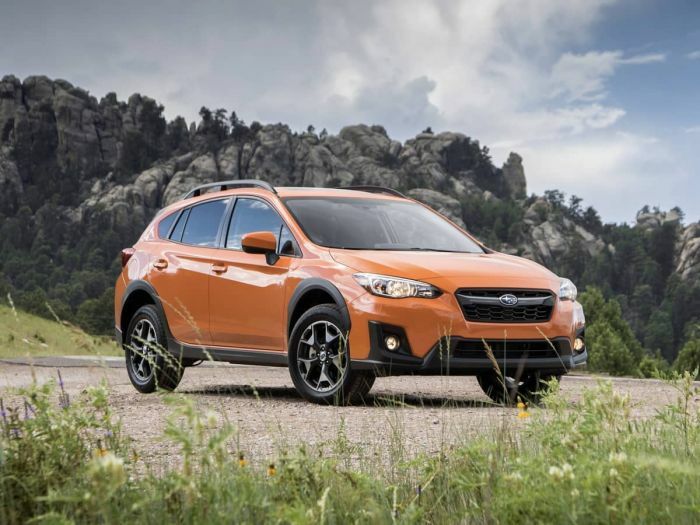 Crosstrek has a 8.7-inch ground clearance, comes standard with Subaru’s Symmetrical all-wheel-drive, and now comes standard with the off-road feature called X-Mode. Its “go-anywhere’ attitude is attracting millennials with active lifestyles who are buying the new crossover to get away from civilization for activities like mountain biking, kayaking, camping and trail hiking in the Canadian backcountry. Subaru could have raised the price on the 2019 Crosstrek even more with it being in high demand, but only gives the compact crossover a small price increase. The 2019 Subaru Crosstrek will be hard to get up north as it goes on sale this month.